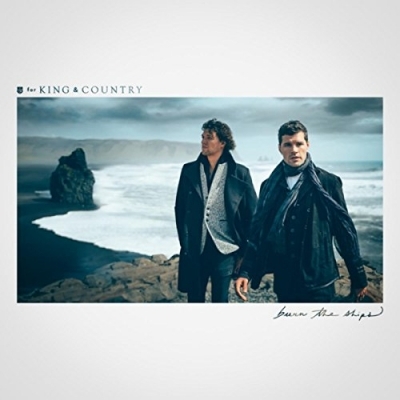 Read More Two-time GRAMMY award-winning duo for KING & COUNTRY continues to reach new milestones with 'God Only Knows', the latest single from the band’s critically acclaimed album burn the ships. The track hits #1 on the Billboard Christian Airplay chart, tying the hit single 'joy'. as their fastest rise to #1. 'God Only Knows' also hit #2 on Billboard’s Hot Christian Songs, made up of streams, sales and radio airplay. Additionally, the track spent its sixth consecutive week at #1 on Australia’s TCM Top 30 chart and holds the top position on Canada’s CCR Chart. You can watch the acclaimed music video, which has garnered over 18 million views, below. The duo is currently enjoying great success on the burn the ships | world tour 2019, the group’s most massive to date. In anticipation of Joel & Luke’s first major trek in their homeland of Australia, the duo SOLD OUT their scheduled performances in Sydney at the famed Sydney Opera House, Brisbane, and Melbourne, forcing a second show to be added to each stop. The world tour has already produced 18 SOLD OUT dates in New Zealand, Australia, and North America, and will wrap on April 20th in Beaumont, TX.